The relentless pace of business can make it easy to lose track of time. Nevertheless, we've found ourselves approaching the end of another year, which means the coming of winter weather. It may be a little early to predict exactly how the weather will treat each region, but complex supply chains can force companies to think globally when addressing issues. To put it more simply: demanding weather may add even more complications to logistics processes. Storms may be more dramatic, but ordinary winter weather can still be cause for supply chain concern if it delays shipments. Back in January, Delivered magazine published an article on the effects of harsh winter weather in the US from the previous year. Listing it alongside other severe occurrences, like strikes and a hurricane, the source explained that every form of transportation was affected, not just cars and trucks. Furthermore, winter brought lightning and hail alongside more seasonal events such as heavy snow and low temperatures. "With smarter software, good timing and luck on their side, businesses may safeguard shipments." 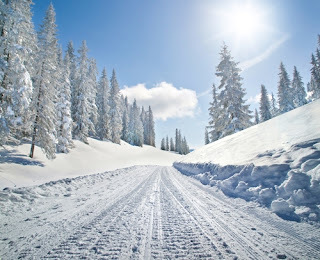 Meeting the challenges of the winter season can be taxing. With smarter software, good timing and luck on their side, businesses may safeguard shipments and meet their expected benchmarks. Plan ahead to build an enhanced, well-managed system based on the latest data. Efficient planning usually means meeting time targets and avoiding late shipments, but that's obviously harder when weather threatens to slow things down. Snowstorms can create traffic obstructions, icy roads and poor visibility, and that's just for land-based traffic. Obviously, there is always the chance that something unexpected can arise to prevent normal operations. Since winter weather is a sort of heightened state, managers can anticipate this and factor extra time into their plans as needed. This isn't just to give deliveries and transactions a safety net, but to allow time to make changes if a situation starts to worsen. Managing strong means of communication can also cut down on interference when workers around the world need to hear new information. Drivers may be the ones heading out into the storm, but processing centers, factories and other locations will all feel the effects of winter weather, too. Ideally, businesses can start planning for this far in advance with strategies for winterizing these places properly. What will this look like? A Supply Chain Digital gives some ideas: Salting walkways and parking lots can help individual plants make it easier for vehicles to come and go. Managers can use trackers to monitor shipments and know which loads are set to arrive. Don't forget that extreme weather can lead to power loss, a potentially crippling thing for business depositories. We've already spoken about the importance of planning ahead, but there's another way for enterprises to stay flexible. Global sourcing tools can help businesses get specific about their supply activities, and that includes making a plan for future developments. Winter weather may be daunting, but it's also common enough that you can bet on needing the right solutions for it.